Richard Branson is the kind of boss everyone thinks they deserve, but probably only Virgin employees get. He’s brought about organization level changes, and himself is synonymous for cool with his personal philosophy. 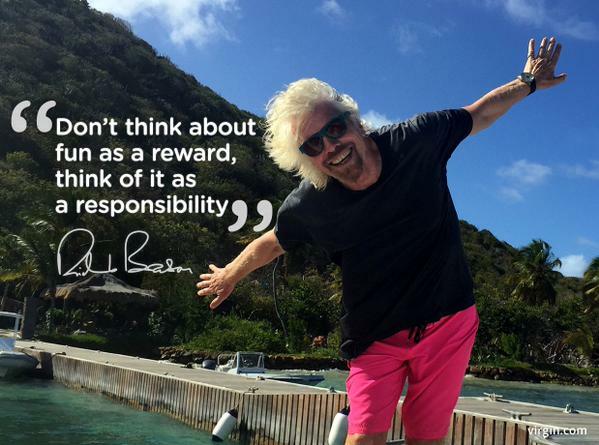 Here are some of the reasons to wish you had a boss like Sir Richard Branson. Recently, Branson announced a year of paid paternity leaves for Virgin employees – not only on occasion of a birth of a child but also on adoption of one. This according to Branson will give ample time for a new dad to devote most important years of child’s growth and bond with their child. With almost 6 million followers, Richard Branson is one of the most followed businessmen in the world. His tweets are informative, motivational and full of insights gained from his years in business. And here is one 62 year old CEO that does not shy away from using this Gen-Y medium to communicate company stuff. Richard Branson thinks that suits and ties in an office are just another type of uniform, but in an arena where uniforms no longer serve any useful purpose. 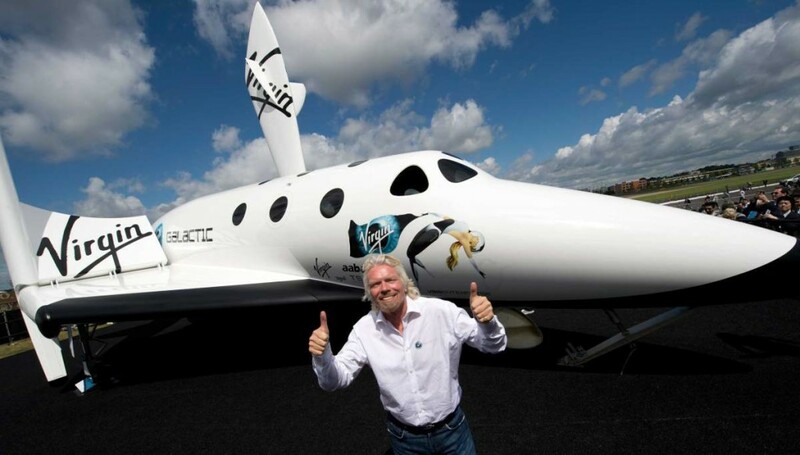 Not content with just normal aviation, Richard Branson is the man behind Virgin group’s ambitious Virgin Galactic project which plans to make flights to space available to the public. (Of course at a price). “It’s going to be an explosion of people having had the chance to go into space and enjoy the marvels of space travel”, said Branson on the company blog. Not only does Sir Richard Branson believe in making the workplace a heaven for his thousands of Virgin employees, but his humane side extends to charitable causes outside of Virgin. In 2013, Branson has pledged to commit $3 billion, all profits from his travel firms over the next ten years, to the reduction of global warming. Not only is he associated with hundreds of charities and causes through his CSR arm Virgin Unite, but is hands on and involved in many projects including the Global Warming project with the UN. A complete low-down on Branson’s charitable associations, here. While most of today’s entrepreneurs and CEOs can boast of fancy MBAs from universities, Branson has been a child prodigy. He dropped out of college at 17 and launched the successful magazine “Student”, interviewing bigwigs like Mick Jagger. Branson started his first charity, “Student Valley Centre”, also around then. He started a mail record business- what can be arguably the foundation for the current Virgin group when he was just 20, and went on to open multiple chains by the time he was 22. Sir Richard Branson doesn’t do things like a sir. He is one. 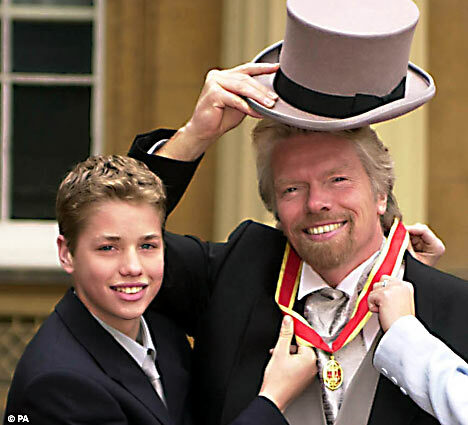 Richard Branson was knighted in December 1999 by Charles, Prince of England for his services to entrepreneurship and humanity. This is one of the highest honours a British citizen can get and one that even the richest people cannot buy, but only earn. 10. Doesn’t sound like a movie star. He is. Well almost. Branson’s cool enough to feature in many shows, and movies playing mostly himself. Friends, Baywatch, The tonight show are some of the shows he’s appeared in. He’s guest starred in movies like Casino Royale, Star trek and even cameoed in a Bollywood movie “London Dreams”, playing himself, soon after launching Virgin mobile in India.